It’s the 150th anniversary of Rabindranath Tagore’s birth this year and so as seems fitting, there have been lots of concerts, talks and events to mark the occasion. He is a cultural gem for both India and Bengali people. Having being the only Indian who has won the Nobel Prize for Literature, and the quintessential Indian Renaissance man (he was a poet, novelist, playwright, musician, painter, educationalist…the list goes on), he thoroughly deserves his star on India’s hall of fame. 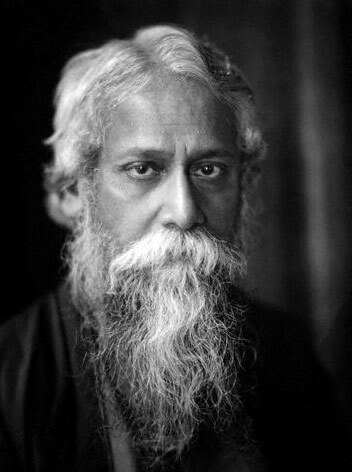 However, what makes Tagore so unique and unlike other cultural icons is that he is so integral in Bengali family lives. Virtually every Bengali family I know has a Geetabitan (Tagore’s 2000+ collection of songs) in their house, knows many of his songs by heart and has taken classes in learning Rabindra Sangeet during their adolescence. It is a rite of passage similar to children in the West learning ballet or joining a scout group. It is what we do. My family is no exception. Didi started singing quite early on. 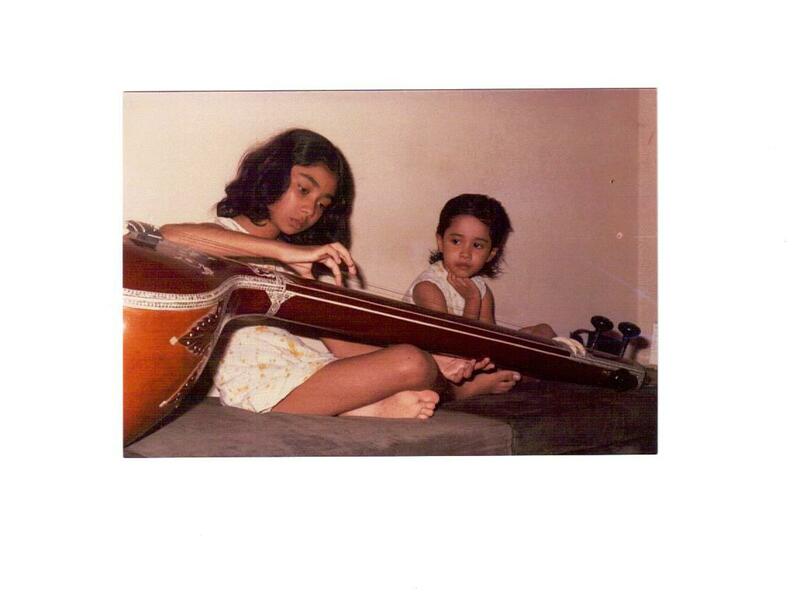 She initially started singing classical at 5 from a neighbour and then when we moved to Bandra, Ma enrolled her into a well known Rabindra sangeet school called Sahana, not too far from home. Didi even got the 1st prize in a singing competition at Bandra Saraswati Puja. Oooh. So far so normal but interestingly, Ma’s relationship with Rabindra sangeet was less ordinary. Unlike Didi, Ma didn’t learn the songs at school or from a singing teacher. She was entirely self-taught and as a young girl she had no interest in it. Funnily enough, she opted for dance as an extracurricular activity at school. Sadly, I have not seen Ma throw shapes on the dance floor. Ever. As for Rabindra sangeet, she got more into it when the family got a Philips record changer at home and used to play all kinds of vinyls including the aforementioned songs. They had a full album of the dance drama Chitrangada which she learnt to sing from beginning to end, aided by the trusted Geetabitan from which she could learn the lyrics. As for me, I definitely AM the exception. While I attentively watched Didi and Ma practice at home in India, I have never learnt to sing, let alone sing Rabindra sangeet. One of the reasons is that we left India when I was only six so deemed too young to flex my vocal chords. However, if my skills in crying as a baby is any indication of my potential singing prowess, I would now be wowing audiences worldwide. Secondly, Stockholm did seem an unlikely place for a Rabindra sangeet school. Thirdly (and probably most crucially), by the time I had opinions, I decided that Rabindra sangeet was not for me. I found it (and still do) boring. There I said it. Rabindra sangeet is boring. I can hear the collective sharp intake of breath from every single Bengali mashi and mesho out there. Let me explain. The lyrics of the songs are incredible beautiful. That is not in question. But as someone whose relationship with the Bengali language is like a shy awkward teenage boy trying to talk to the girl he likes: halting, faltering, uncertain and unable to hold a conversation that goes beyond ‘umm, so like…” Which basically means that when I listen to the songs, I have no idea what they are about. And what bugs me is that music and songs should be able to overcome language barriers. However, here Rabindra sangeet lets me down. The music which accompanies the lyrics does not do what it is supposed to do. It does not enhance, complement and reflect the beautiful lyrics. The music is boring, flat and sound so sad. As a result, all the songs sound vaguely the same and endless. If Rabindra sangeet is going to appeal to me and future generations of Bengalis, Indians and just generally human beings from anywhere, it needs to be freed from the strict, traditional chains that imprison it. I think Tagore would agree.